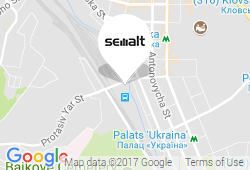 Semalt offers to increase keywords positions and traffic for the specified website. Auto SEO is a unique whitehat technology for your website promotion on Google search engine. This service allows natural links placing on the niche-related web resources relevant to your website content. Links placed are integrated into unique content which allows achieving perfect results. Semalt base has more than 50,000 high-quality partner sites of various subjects. Sites are carefully selected according to domain age and Google Trust Rank. 10% - brand name links. These links will make your website grow in Google rankings.. 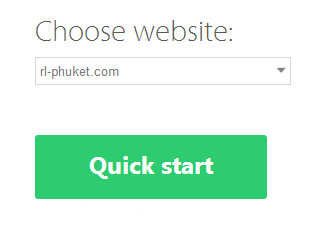 The first month for one website costs $0.99. 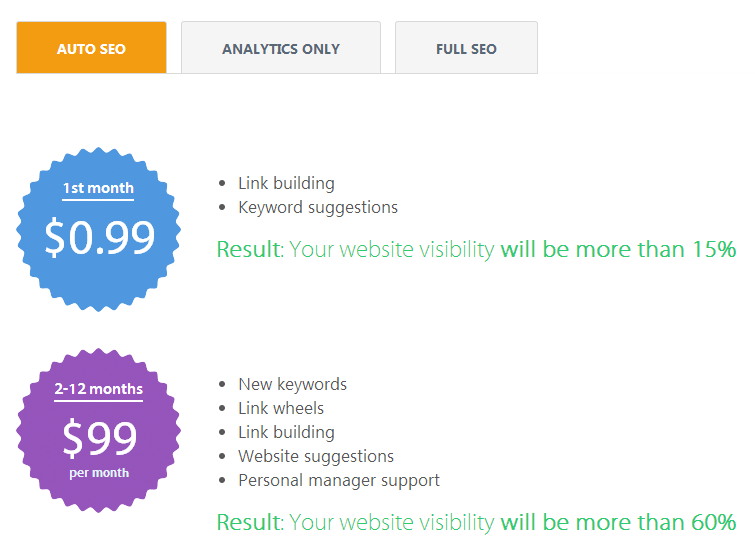 Starting from the second month, the services will cost $99 for one website. Note that we have auto renew payments. During the first month you get about 20% from the result you'll achieve for the next months. It takes from 2 to 12 months to take your website to TOP 10. You should go to the page Pricing and select the tab Auto SEO to order the Auto SEO package.